China is set to launch pilot emissions trading schemes in six regions leading up to 2013 and nationwide trading by 2015, a senior government official has been reported as saying. 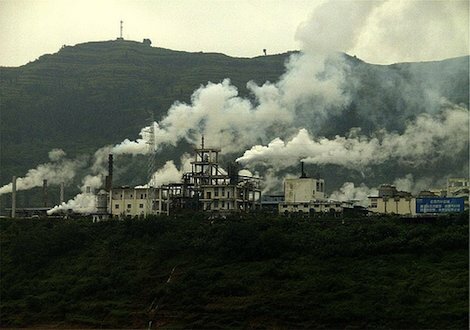 The vice-director of the climate change department at the National Development and Reform Commission, Sun Cuihua, has said that emissions trading schemes will be initiated in Beijing, Chongqing, Shanghai, Tianjin and in the provinces of Hubei and Guangdong. China has internationally asserted that it will reduce its carbon intensity (per unit of GDP) by 40-45 percent measured against 2005 levels. This is to be achieved by the end of 2020. Sun Guihua said emissions trading would be based on regional energy use targets. The government is expected to instigate a national energy cap of 4 billion tonnes of standard coal by 2015. The province of Guangdong has provided plans to cap energy use in cities in the Pearl River Delta, and to let the cities trade consumption permits between cities. In 2010, local governments cut off power supplies to many enterprises to urgently meet 2006-2010 targets. The NDRC has indicated that this sort of enforcement would not be repeated, citing that it was a mistake. Previous post: Clean Energy Economy: Path To Prosperity Or Economy Destroyer?